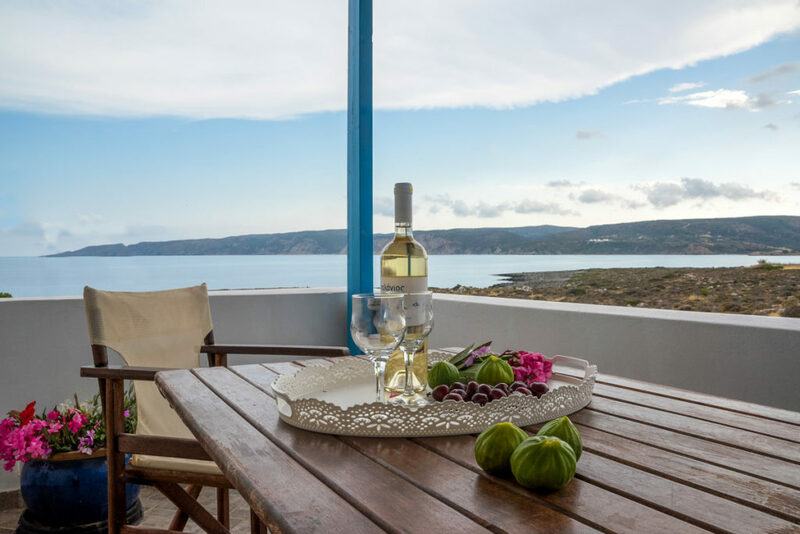 The easy pace of life, the generous and trusting nature of Greeks and the astonishingly beautiful scenery is sure to be found in our little complex in Strapodi (Livadi). 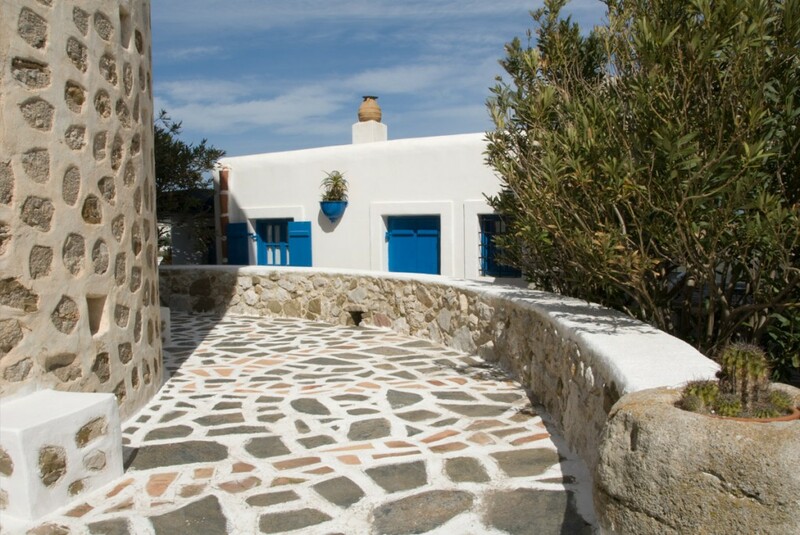 Situated in the centre of the island and very close to Chora, it ensures access to the island’s most graphic beaches and tourist attractions. 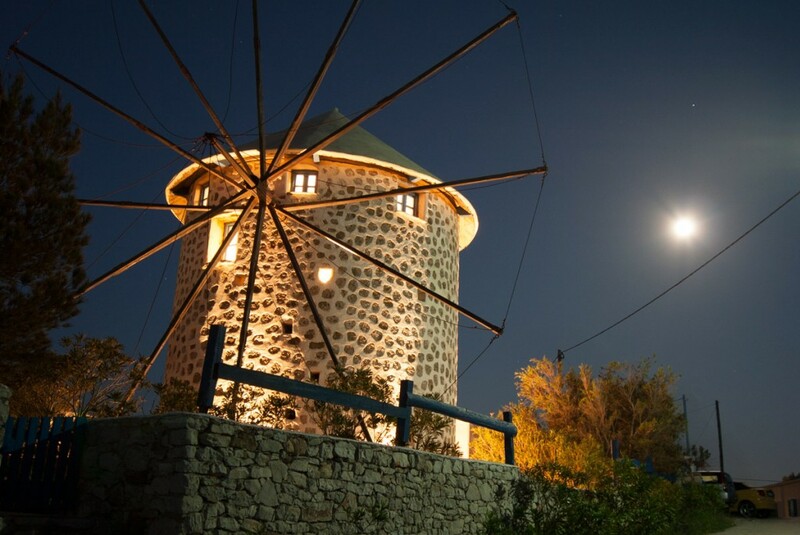 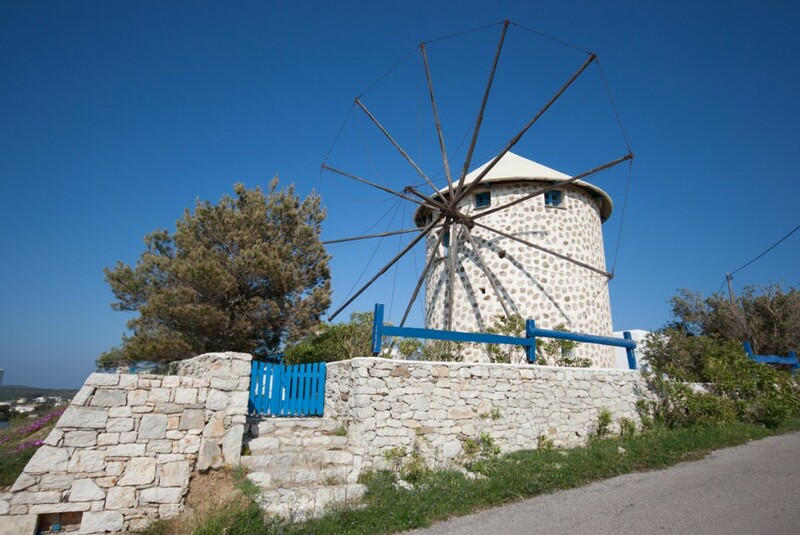 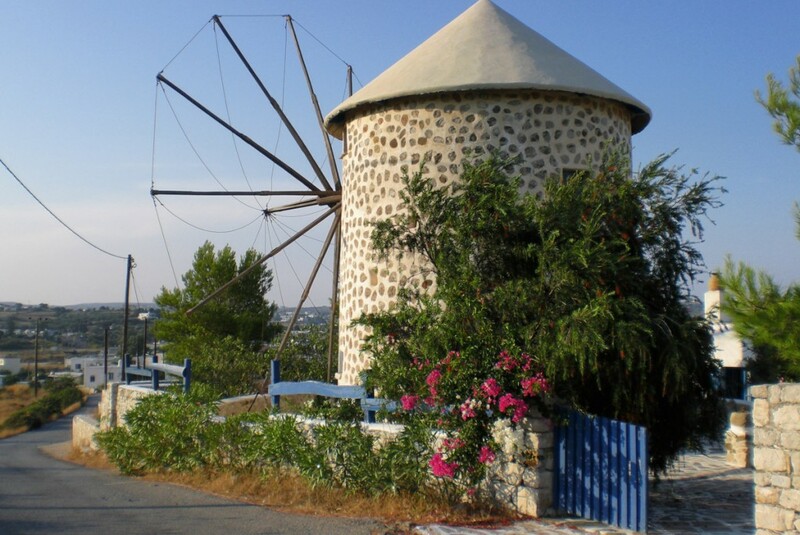 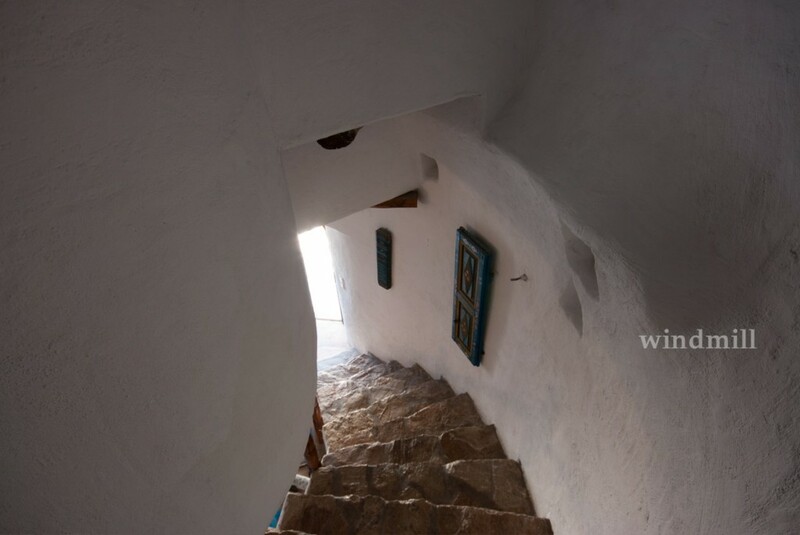 The seventeenth century stone windmill, one of the well-known attractions of the island, along with the two stone made studios have been renovated according to local architecture. 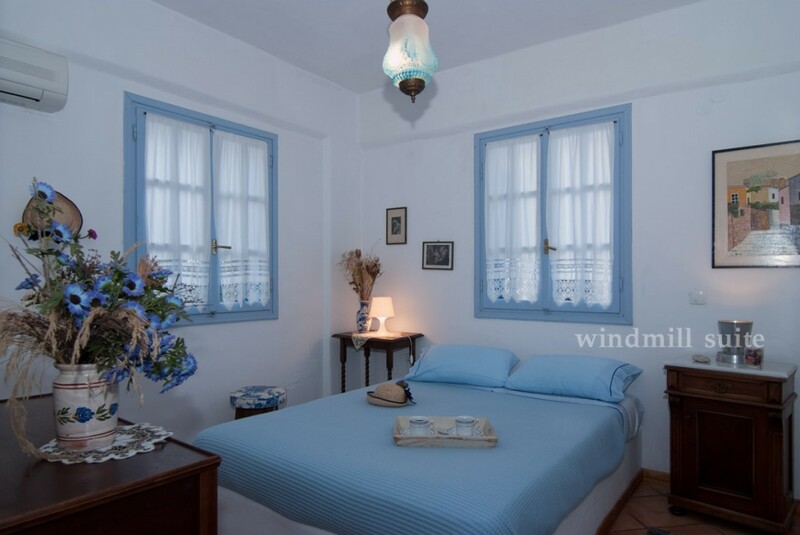 The Windmill and studios have their own style and have been designed to express individualism and character. 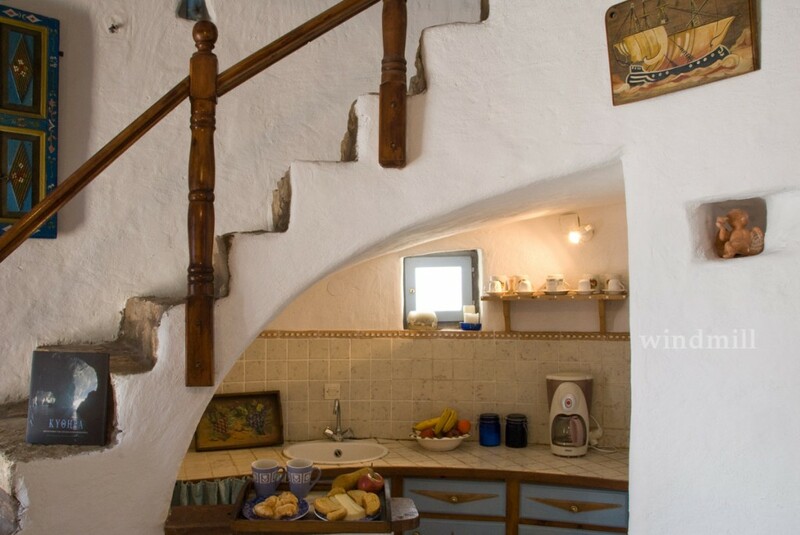 They have carefully been furnished with household furnishings from the last century. 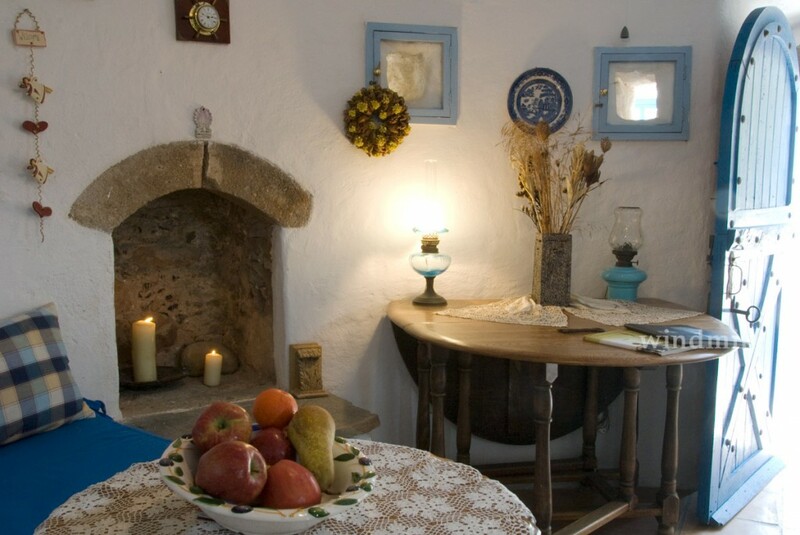 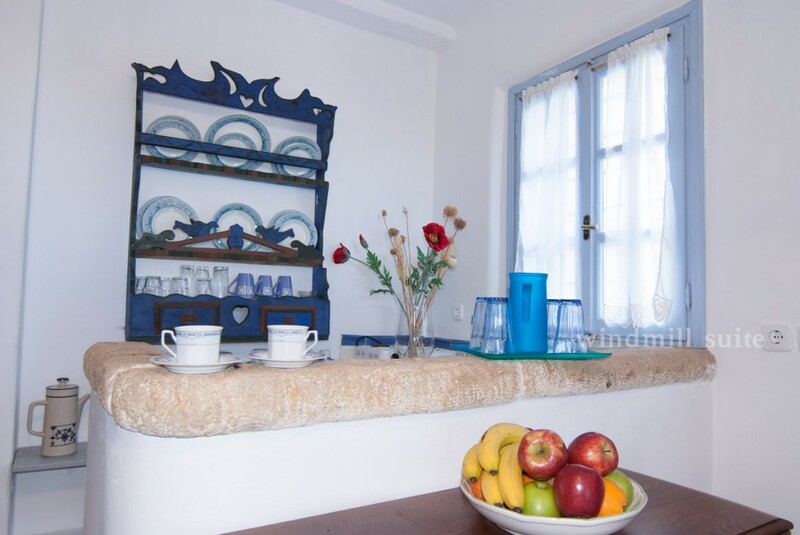 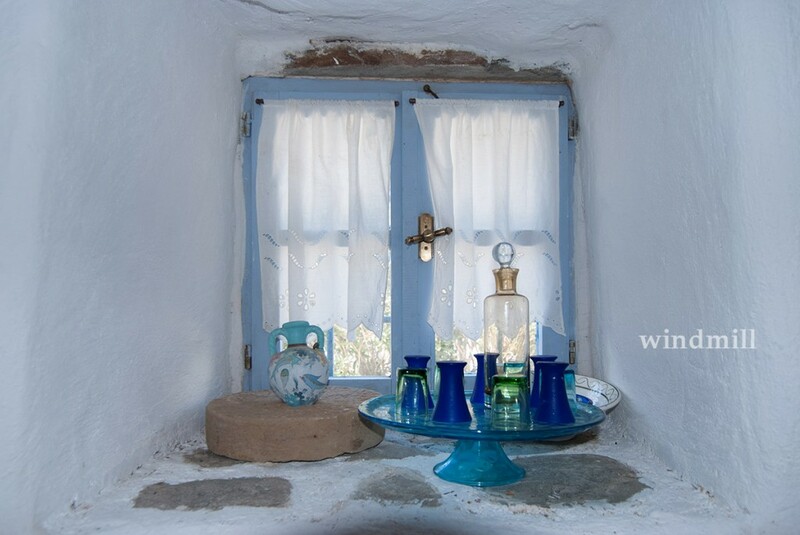 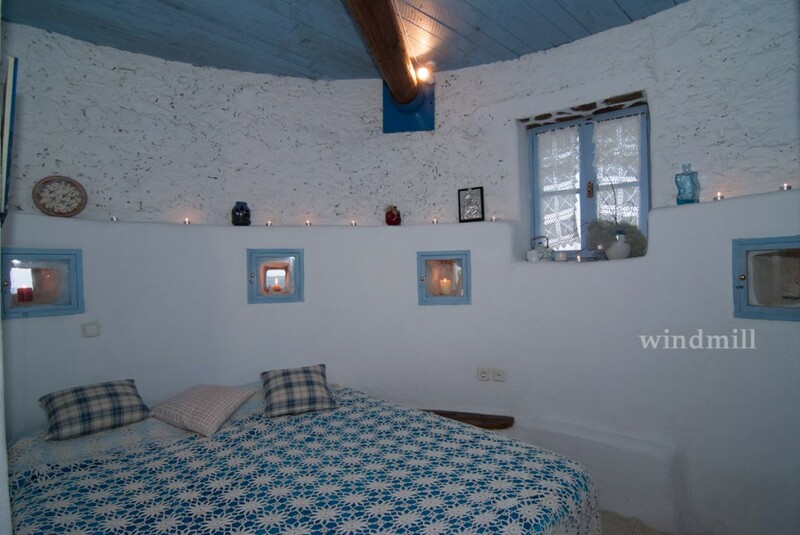 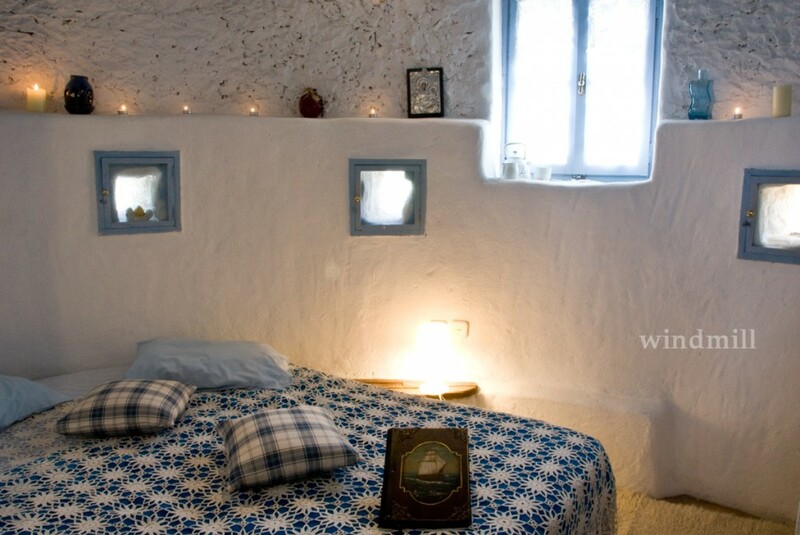 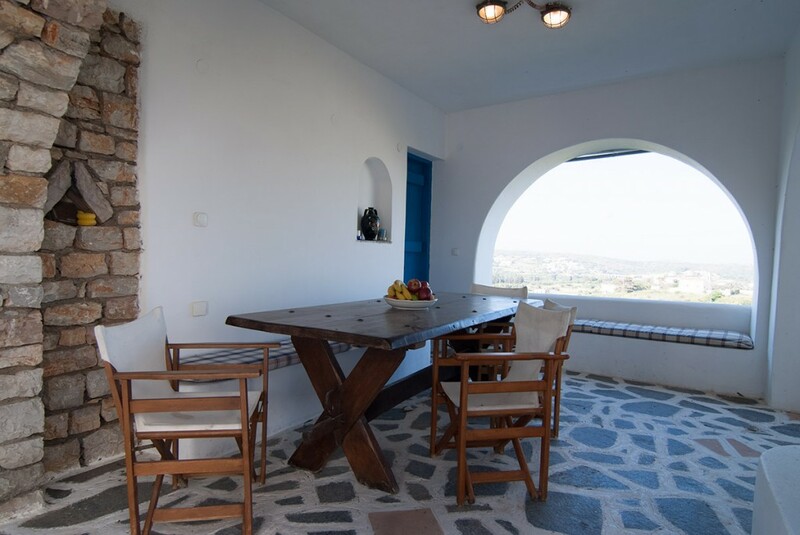 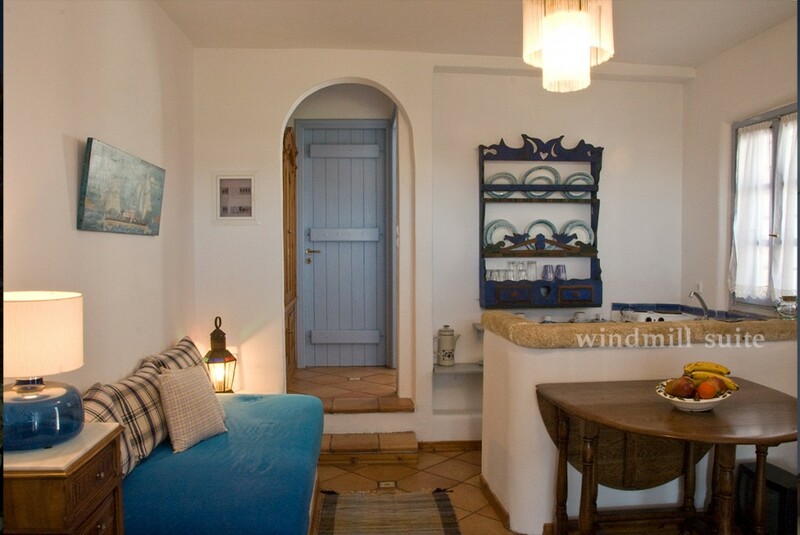 They welcome you with the traditional Kytherian style and all the modern comforts. 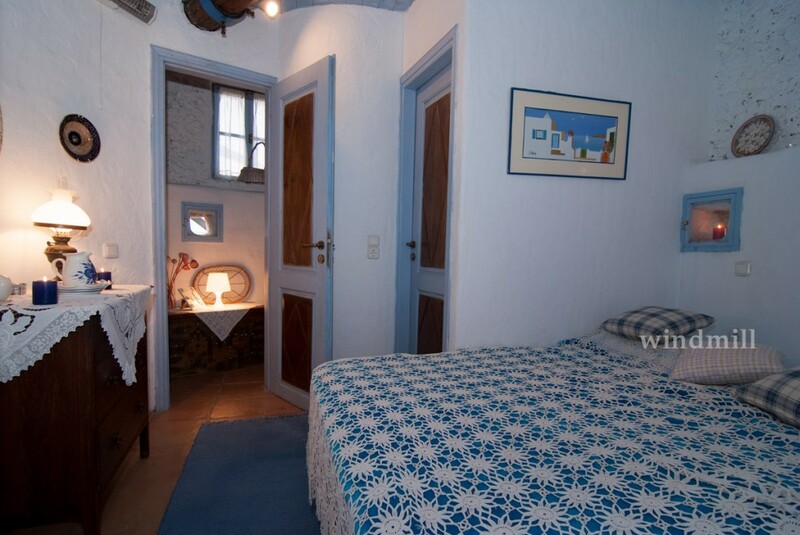 Each studio conveniently accommodates three to four people and is ideal for a tranquil family vacation. 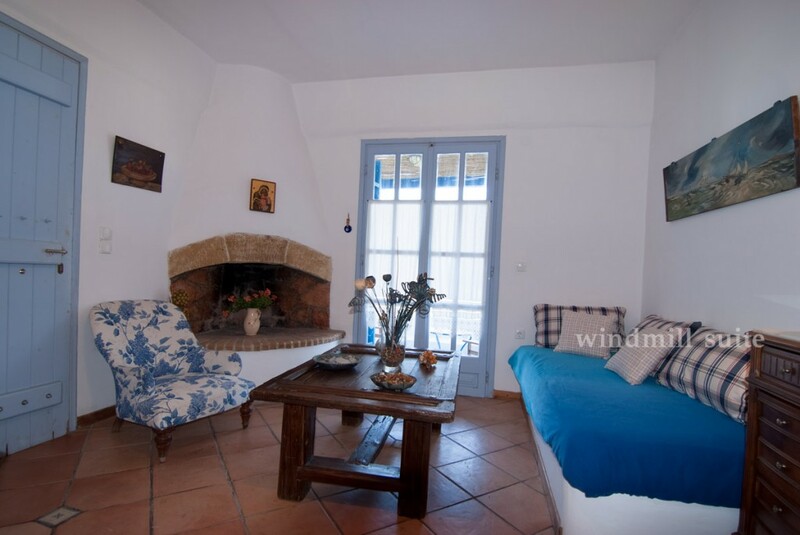 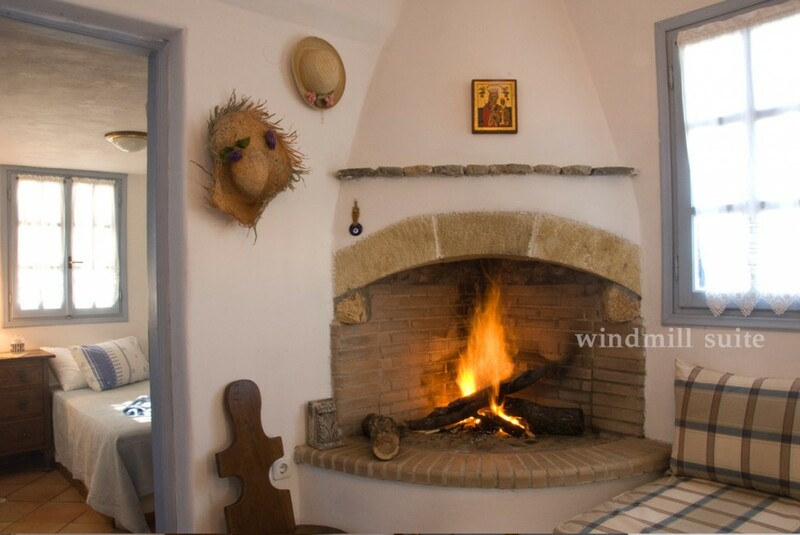 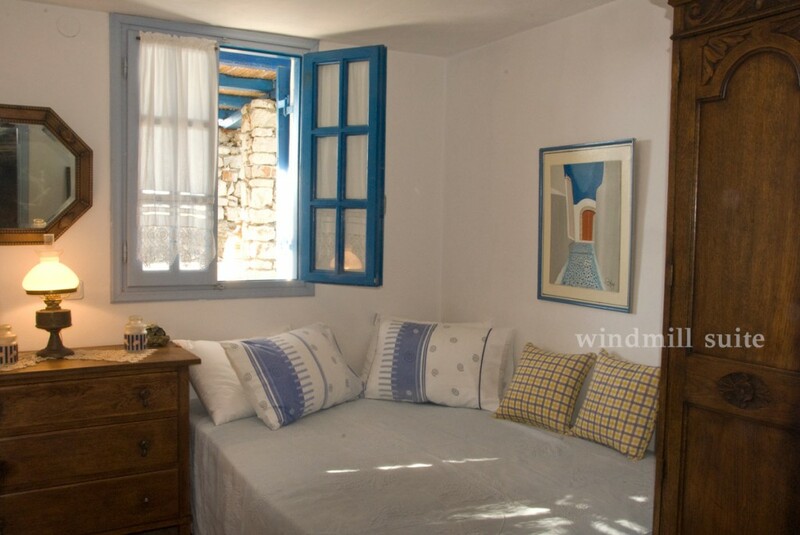 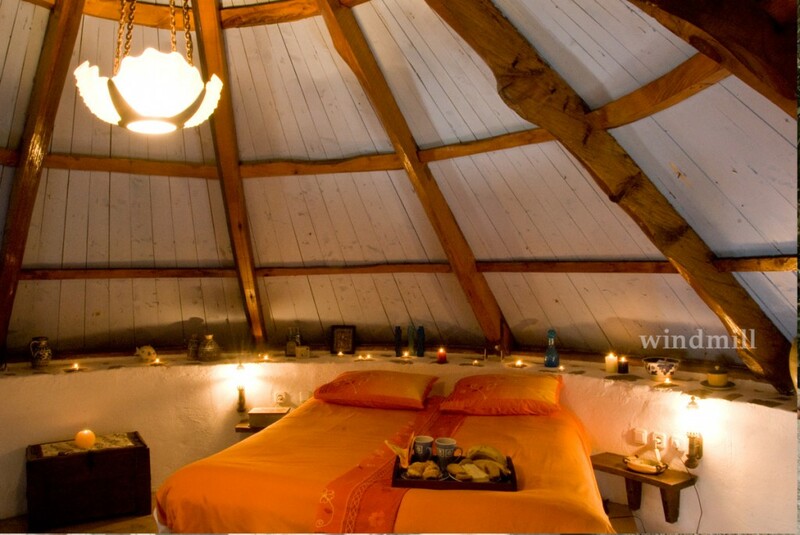 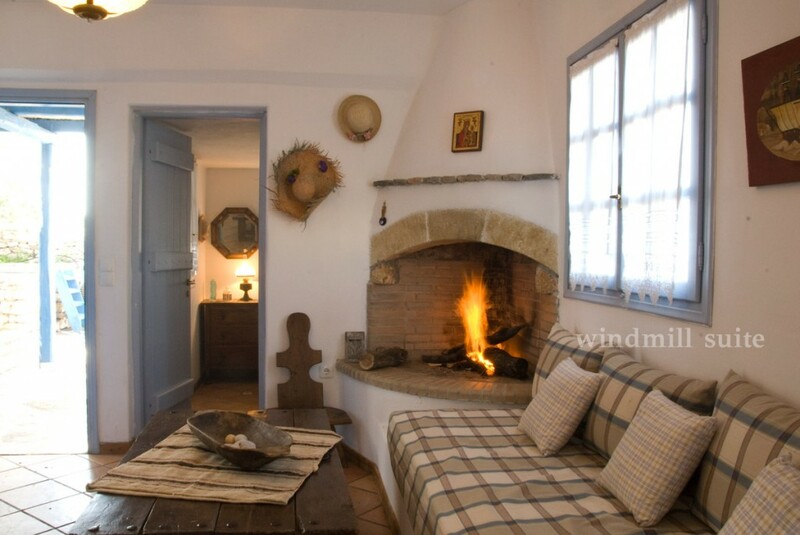 Each studio includes a bedroom, a kitchenette, a private bathroom, a sitting room with a TV and fireplace, while the Windmill consists of 2 master bedrooms with their own bathroom, living room and kitchen area.